After more than 50 years, the UFO Investigation Unit of the Ministry of Defense of the United Kingdom was closed. 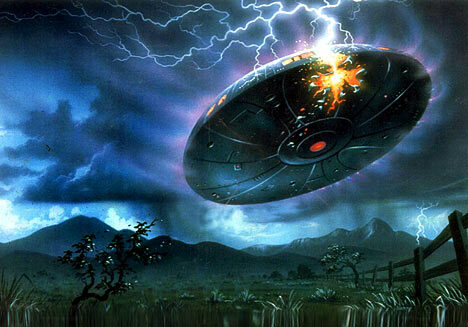 On December 1’st, the phone line and e-mail where British citizens were invited to announce UFO appearances were closed, and the officers operating in the UFO unit were recommit in other departments. The official explanation is that the unit had no defensive value. In addition, with the current economic crisis, the British government will save 44,000 per year. In the past 50 years, UFO Investigation Unit has received thousands of reports from individuals who claim to have seen UFOs but none of them had an undeniable proof of alien existence, nor identified any threat to UK security. The measure is surprising, considering the fact that Britain has declassified 3 years ago more UFO files which, although did not brought clear evidence of alien existence, contained the credible testimony of Air Force officers who said they saw UFO’s. Oasis of the Seas – the Royal Caribbean Cruise Lines ship – has a length of 360 meters and cost no less than 800 million pounds. Building the ship with 16 passenger decks lasted almost 6 years, of which the highest is at 65 meters above sea level. 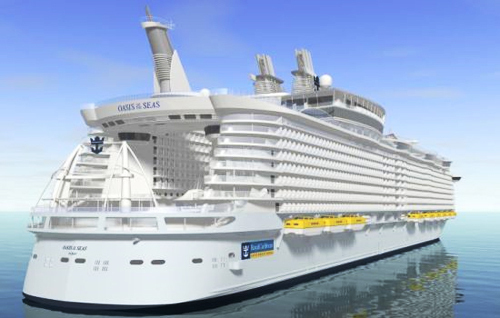 The technical data of the Oasis of the Seas are absolutely amazing: the gigantic vessel – the largest in the world – is 360 meters long, 65 meters wide, has a 6296 passengers-guests capacity plus a crew of 2706 members. The floating mammoth is divided into seven areas covering nearly all the entertainment needs someone may have on a holiday, from cinema and skiing, to opera, extreme sports, zoo or botanical garden and green spaces, leisure Central Park, the Boardwalk, Pool & Sports Zone, the Royal Promenade, Vitality at Sea Spa & Fitness, Entertainment Place and Youth Zone. One of the many innovations of the Oasis of the Seas is Central Park – the world’s first floating park, with 12,175 plants from 93 different species, including 56 trees. The tape was bought by a collector against the sum of 182,288 euros. The author of the filming is a friend of the famous actress. According to an article in the newspaper Leggo, was made public a video in which the famous actress Marilyn Monroe is caught smoking marijuana. The images were taken 50 years ago and were acquired by collector Keya Morgan against the payment of 182,288 euros only recently. The film was sold by an anonymous photographer. ¨ ¨ Reuters news agency received permission to publish one minute from the famous shooting, which in total lasts four minutes. The owner said that the clip will auction on EBay next week. Keya Morgan made a documentary about the death of Marilyn Monroe in 1962 and discovered the existence of this film during research. 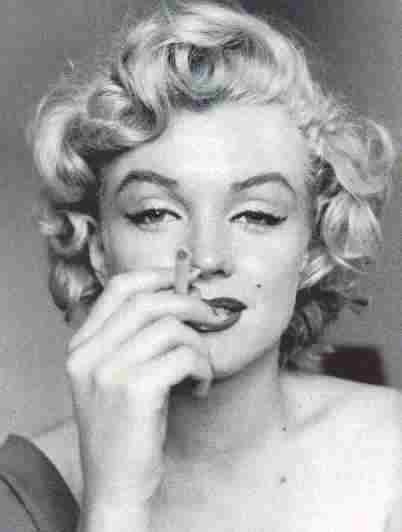 The photographer who sold the tape said the marijuana cigarette that Marilyn was smoking was his. Members of NGOs defending the rights of animals got naked on a huge piece of plastic and painted their bodies with red paint. Dozens of people from defending animal rights organizations took part the last week in a protest in Puerta del Sol square in Madrid. They wanted to send the message that is not elegant anymore to wear clothes from animal skin. The protesters defied the cold weather and rain and stripped in the street on a huge piece of plastic. According to Spanish newspaper “La razón”, they painted their bodies with red paint to symbolize the animals killed by the fashion industry. Ford Company will equip his new model Ford Explorer 4×4, which will go into production in the U.S. next year, with a seat belt able to inflate like an airbag, improving the passengers safety in a collision. 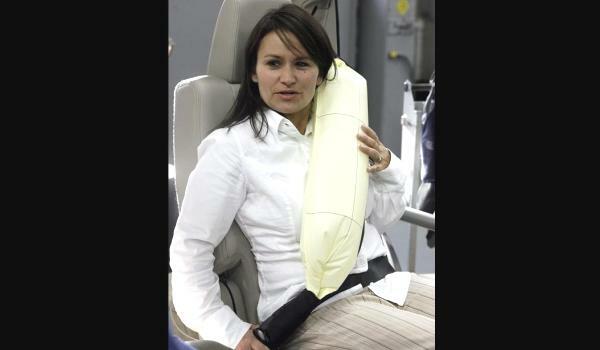 On the car’s back seats, the regular seat belt, passing over the shoulder and chest, will be replaced by a cylindrical tube, inflatable, which can be inflated in just 40 milliseconds and disperses the impact shock on an area five times greater than a regular safety belt. Specialists say that this device will reduce the risk of fracturing the ribs, some internal injuries and contusions of the children (they are very vulnerable in case of a collision), being useful also to the elders, with a more fragile skeleton. They walked almost naked on the streets of South African capital, Johannesburg, not forced by the heat outside, but to set a new record in the swimsuits parade chapter. And the organizers also had another purpose: to draw attention to the threat represented by breast cancer. After skin cancer, breast cancer is the most common form met at Caucasian and Asian women. Disease risk increases with age, but chances of survival increase if the disease is diagnosed in time.